Don’t all of us aspire to be wise, or acquire wisdom? It was the beginning of 2016 when my son Ravi suggested that I undertake a new project to save my sanity – cajoling my ageing brain to keep it alive and kicking. Several possibilities immediately flashed in my mind. I searched for something that would permit continual reading and discerning, researching, and sharing with my friends. Ravi loved the idea, and he urged me to research and contemplate, so that I would write articles which entice people to respond. The reason being that responses and critiques continually challenge the thinking process, and clear up the fuzziness around the brain cells. Ravi shaped up the idea into starting a website / blog where I post my writings and collect inputs from readers to further engage with friends in intellectual gymnastics. Not to win a battle, but to continually stimulate thinking – which leads to getting rid of cerebral fuzziness. For 15 years I had edited a medical research journal, so the idea was not a challenge, but the mechanics of doing it was. I had no technical competency to run a blog, but lucky for me, Ravi offered to help with copy editing, formatting, posting and maintenance of this site. The next step was to come up with a title. 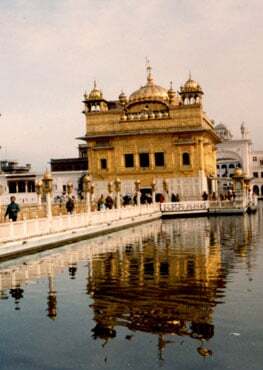 In the realm of my belief system, I have been following the teachings of Sikhism as imbibed in the sacred scripture of the Guru Granth. The term Sikh literately means a learner or a seeker of Wisdom. Hence, Seeking Wisdom was an obvious choice for the blog name. Suddenly, I was put on the spot to think about defining wisdom. It should, too, not be difficult. Don’t all of us aspire to be wise, or acquire wisdom? Did not we give the name of Wisdom to our spiritual tutors? Then, it should not be a difficult task to come up with ideas on Wisdom. To me, Wisdom is a pursuit of learning a trait and forming a habit that will nourish my mental faculties, the faculties that appreciate wisdom. Implicit in that process is that there are countless ways of becoming wise or wiser. Confucius called it gen meaning that which precedes the decision. For us, it is what guides us in making life-impacting choices every moment. And, where do you acquire wisdom? Some people acquire wisdom through experience. We, the Sikhs, look up to the Wisdom showered upon us by the Divine Wisdom, by our gurus and their hymns enshrined in the Guru Granth. So here is the result. A blog, named Seeking Wisdom, that has been running since 2016. Looking back at the process, the writing really helped. I began to look forward to the process. When something comes to mind, I dictate a note in my cell phone. Then I consult the Guru Granth. Most frequently I use www.srigranth.org, managed by Dr. Kulbir Singh and his computer wizard son Jasjit. When I post the blog, I look forward to hearing from my friends and colleagues. I find all this really therapeutic. This blog has essays based upon the human experiences to resolve life problems using guidance from the sages, and the wisdom provided by the Guru Granth. First, these blogs may assist in overcoming the challenges of life and the challenges my communities are facing in practicing their belief systems in the new world. 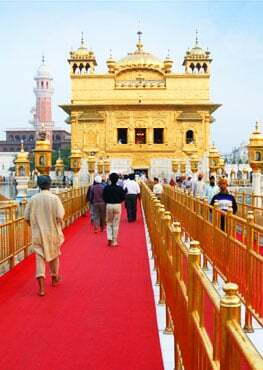 And, then they take to the pathways in the service of their Guru. The idea is to explore and learn the means that make us wiser in all respects and to relish the opportunities showered upon us by the Creativity of the Creator. ਗਤਿ ਗਿਆਨੁ ਦਇਆ ਭੰਡਾਰਣਿ ਘਟਿ ਘਟਿ ਵਾਜਹਿ ਨਾਦ ॥ SGGS, p. 6. Let spiritual wisdom be your food and the compassion your attendant. The Sound-current of the Naad may vibrate in every heart. of the glory of the Creative Wisdom as manifested in the creation. I hope that all of you share my enthusiasm. If you want to start your own blog, I recommend two free tools: WordPress and MailChimp. Dr. (Bhai) Harbans Lal is a distinguished Pharmacologist and a recognized scholar of Sikhism. Professor Lal has been published in all the major Sikh journals. His present interests lie in promoting Sikh Studies in North America.